A recent post by Chip Dye proposed that facilitators need to manage three separate types of engagement: emotional engagement, intellectual engagement, and environmental engagement. By optimizing these three factors, a facilitator can enhance the learning experience to reduce attrition, optimize individual outcomes, and achieve the organizational results of an entire learning campaign, no matter how or in what combination content is delivered. A different, perhaps more direct, way of saying this is: full engagement is what keeps people in class. But what gets them to class in the first place? To be successful, learners need to be motivated to participate in a program in the first place. There has been extensive research into the underlying factors affecting individual learner motivation. 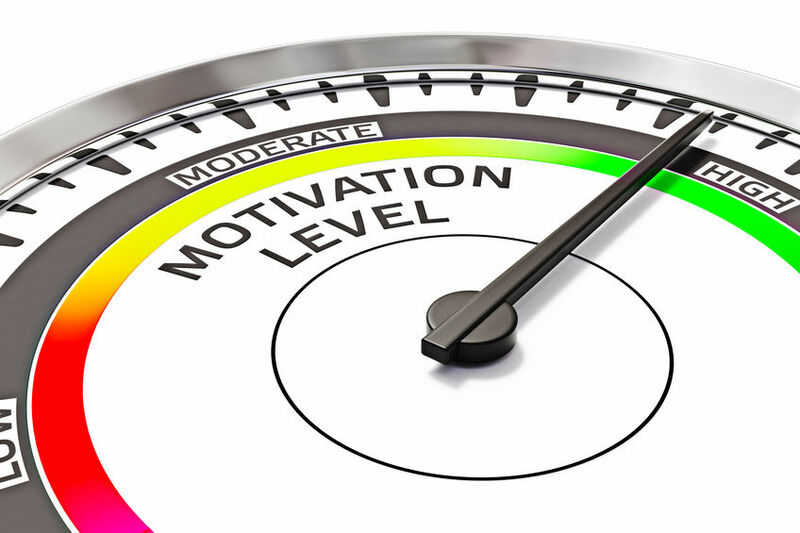 In a nutshell, there are a variety of extrinsic factors that are thought to affect learner motivation, and these are important opportunities for an organization to motivate people to participate in learning experiences (see our series of posts 101 Ways to Motivate the Virtual Learner). It’s equally important to understand that motivation is an intrinsic trait of the learner based on their respective desired trajectory, interests, and capabilities. I propose that motivation is the combined responsibility of the organization and the individual learner. The organization helps create a supportive environment, and individual learners need to actively recognize what is being offered in that circumstance, independent of what has been experienced in the past. This is the hard part: it’s much easier to think back to a bad webinar and think that all future virtual events will be equally as bad than to think the experience will be worth your time. As a thought experiment, consider motivation falling into similar categories as engagement: emotional, intellectual, and environmental. Emotional motivation – Prospective learners are motivated by a positive answer to the following question: Is this program going to be a positive experience for me? Of course, ‘positive’ is subjective. But the emotional aspect of motivation is largely about choice. Most of us prefer control of our own learning journeys, and when something is required, we naturally question if that requirement is worth our time and attention. This in turn can create a negative emotional response even before the learner enters the classroom. Intellectual Motivation – In order to appeal intellectually to the prospective learner, we need to answer the question for them: "Why do I need to learn this?" If this question were directed to a parent from a child, the answer often is “Because I said so.” That type of response does not sit well with adult learners. To get people excited about what they may potentially learn, we want to make sure the marketing message communicates individual relevance. A worst-case scenario is a learner believing they need to attend a program and take their time and attention away from other tasks perceived to be "more important," when the content is not immediately applicable to their job or they feel they are not a member of the target audience. If the content is too basic or too advanced for them, or simply appears to be, the learner just won’t believe that there is value in their participation. Environmental Motivation – To provide environmental motivation to the prospective learner, especially in a virtual or blended learning environment, we need to ensure that the learner is confident that the program is being implemented in the right way. Environment is, perhaps, the category that can be most influenced by the organization. Educational technology implemented poorly stays with us for a long time. It’s very obvious, to facilitators and to learners, when a program is dumped into the most convenient technology in your toolbox (for example, virtual classrooms, eLearning) without the proper instructional strategies (for example, game-based learning, social collaborative learning,), or whether proper instructional techniques (for example, curation, lecture, gamification) are being utilized, or indeed even considered. The correct technology is selected by identifying where learners will be when applying the skill or need the knowledge; we want design content to be distributed in the most authentic way possible. Design learning campaigns that incorporate appropriate instructional strategies, techniques, and technologies. These three elements result in a powerful combination that creates comprehensive programs. Allow learners some opportunity to customize their own learning journeys. Personalization often leads to personal investment in the training program. Ensure that everyone understands how the program supports individual development and organizational goals. Appropriate communication to learners and stakeholders can demystify many of the apprehensions key partners have about new L&D initiatives. Share success stories. Once the word gets out that a program or approach is working, people will be much more open to the experience. Blended learning campaigns not only engage learners during live events, but keep them invested in the training during self-paced and informal exercises. 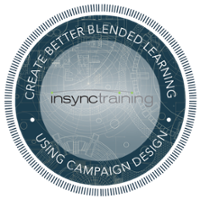 Discover their power and the proven technique for designing them in the Create Better Blended Learning Using Campaign Design workshop.